I had grand aspirations to post a sketchbook page daily this year. Needless to say, I'm a bit behind. It's been a busy week. More on that later, but in the mean time, make sure to check out my tublr page for frequent sketchbook updates! 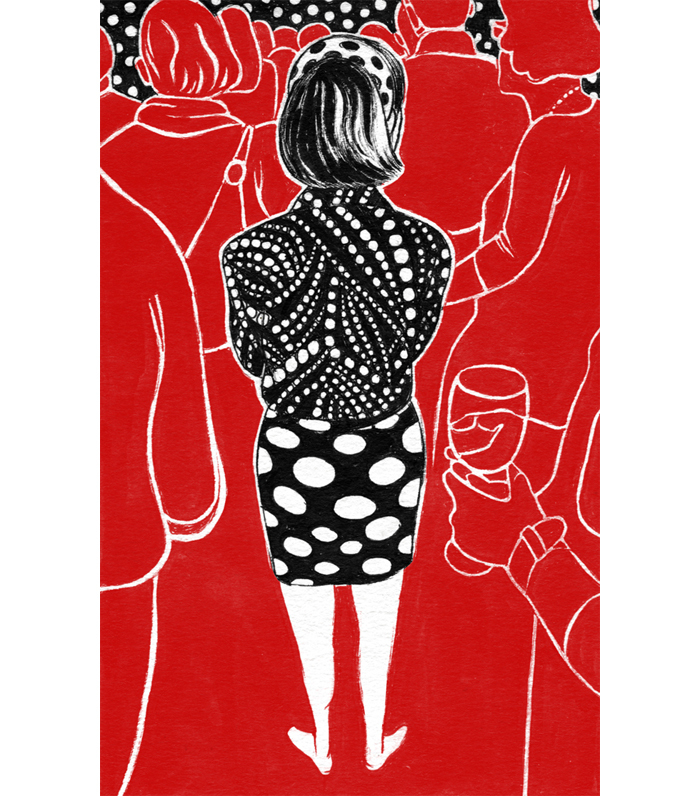 Last Friday at the Society of Illustrators reception I was standing behind Yuko Shimizu wearing a fantastic polka dot ensemble. I thought it funny, because last year we were both up on the stage. She was the chair of the show last year and I was honored to recieve my gold medal from her. I've been a fan of her work for a long time. In fact, she was one of a few illustrators I use to follow that led me to attend SVA.